I get a reply back from Kevin regarding any details on Dad’s second tour crew. 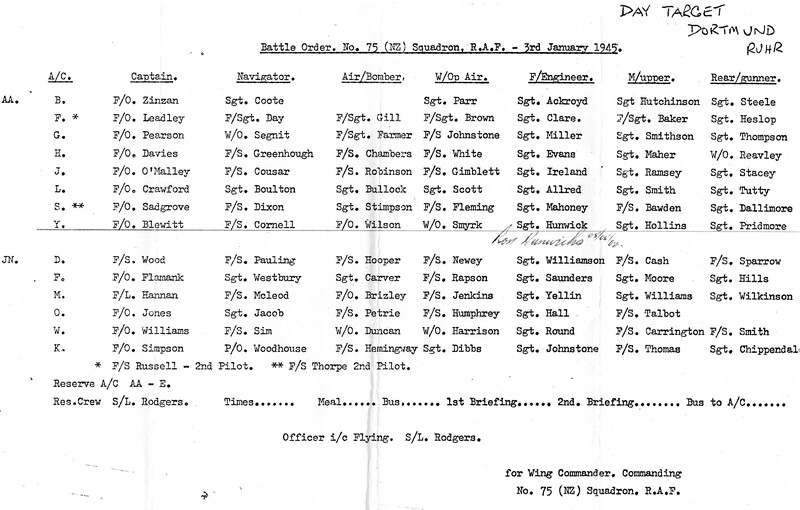 Disappointingly nothing, though an unexpected surprise Kevin sends me a copy of the Battle Orders for the daylight raid on Dortmund, 3rd January 1945. This raid is before Bob goes back to 75(NZ), but the gap under Air Bomber suggests that perhaps until his arrival, there was no ‘fixed’ member in that position for the Zinzan crew. 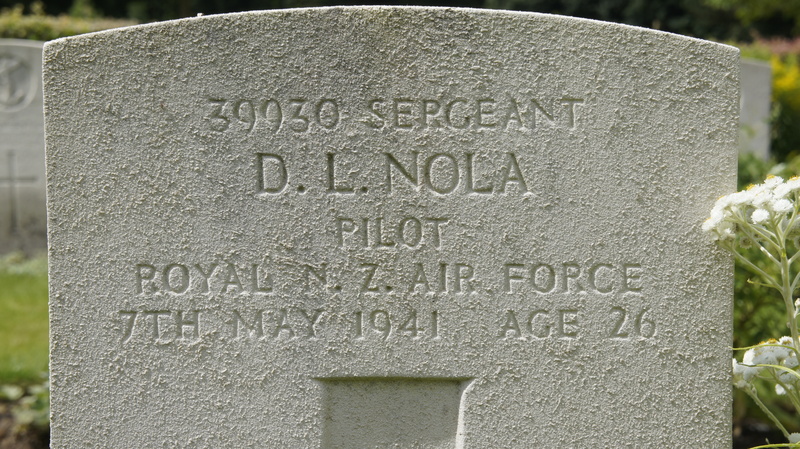 From a Squadron point of view, the Battle Order is also very useful as it not only provides another check regarding the aircraft flown on that raid, but also perhaps more interestingly, given the rarity ( or as I have found it) of information identifying crews in the 3 flights that 75(NZ) operated. This entry was posted in general and tagged 1945, 75(NZ) Squadron RAF, Battle Orders, Dortmund, Doug Williamson, Gerald Newey, James Coote, Sgt. A. Ackroyd, Sgt. H. Hutchinson, Sgt. M. Parr, Vernon Zinzan on January 15, 2012 by 75nzsquadron. Jack gets the 1651 photo and calls me back…..
from L to R; Sgt. Allan Johnson Mayfield, Sgt. Robert Douglas ‘Jock’ Sommerville and P/O Jack Francis Jarmy. 1651 Conversion Unit, Waterbeach, July 1943. There is, perhaps with this sort of search, good and bad news. 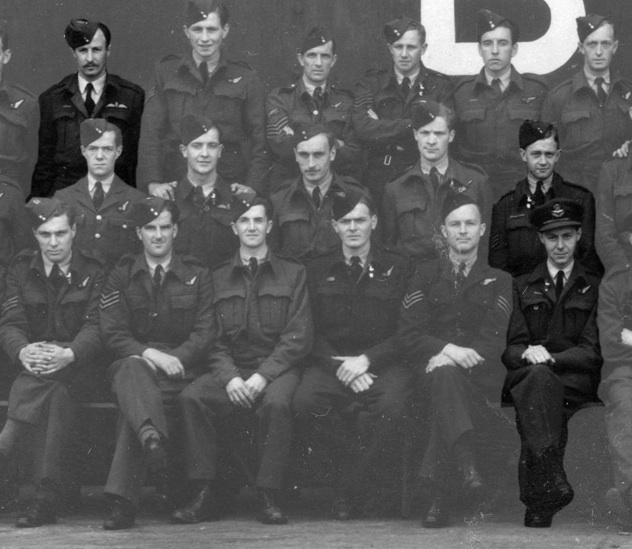 The good news is that Jack has found Allan and himself in the photo – exquisitely, Jack is sat in front of Bob. This entry was posted in general and tagged 1651 COnversion Unit, 1943, Allan Johnson Mayfield, Jack Jarmy, Robert Douglas 'Jock' Sommerville, Waterbeach on January 14, 2012 by 75nzsquadron. Stirling bomber N6101 from 1651 Conversion Unit, Waterbeach. Image © Imperial War Museum. I am having a search through the Imperial War Museum image archive – I have no idea what I am looking for, but I guess I’ll know if and when I find it……. 1651 Conversion Unit, Waterbeach, Cambridge shire photo taken around 1943. The image is of a Stirling with a bomb train leading to it – The designator letter on the aircrafts side is quite clear – “E” and the aircraft serial number is listed as N6101. I go back to Bob’s logbook to have a look…..just in case…. Bugger me – there is an aircraft listed July 19th 23.30 (night training) – ‘Stirling ‘E’’. Its too good a chance to pass up, so I order a hi res digital copy of the image. Sorry! – The Stirling Story (Bower) has N6101 as crashed by runway and burnt out 09/12/42. 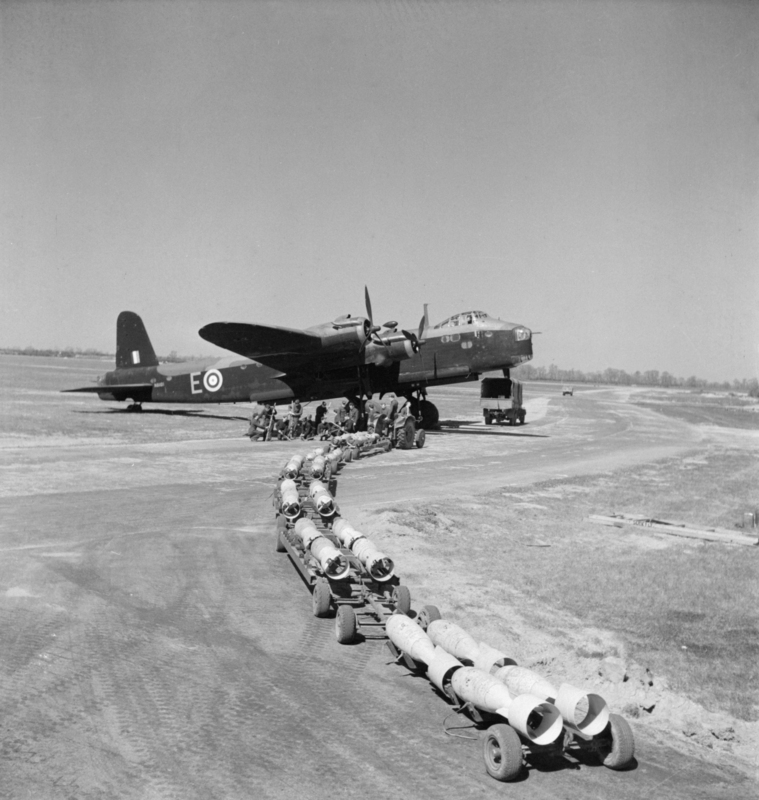 Oh well, it was a nice dream for as long as it lasted and it’s a beautiful picture of a Stirling anyway……. This entry was posted in general and tagged 1651 COnversion Unit, 1943, N6101, Stirling bomber, Waterbeach on January 11, 2012 by 75nzsquadron. I don’t want to suggest you turn to a hobby of adopting graves, but on our return to Grimsby, 2 months after first discovering David and Alex I take flowers to them. You can accuse me of being sentimental, but I will probably reply that I was there anyway, we needed to buy flowers for Bev’s grandparents, so it was easy to buy more. I leave the flowers with the boys as a mark of respect – I am realising all to clearly the odds that they flew against in the early part of the war and it seems doubly cruel that they were not lost over Germany or France, but within reach of their base – to suffer all of this and then be left 11,000 miles from their homes in New Zealand makes me feel incredibly bad and at the same time it makes me feel terribly grown up – doing something like this, is not like me at all – maybe at last, I am getting some perspective. 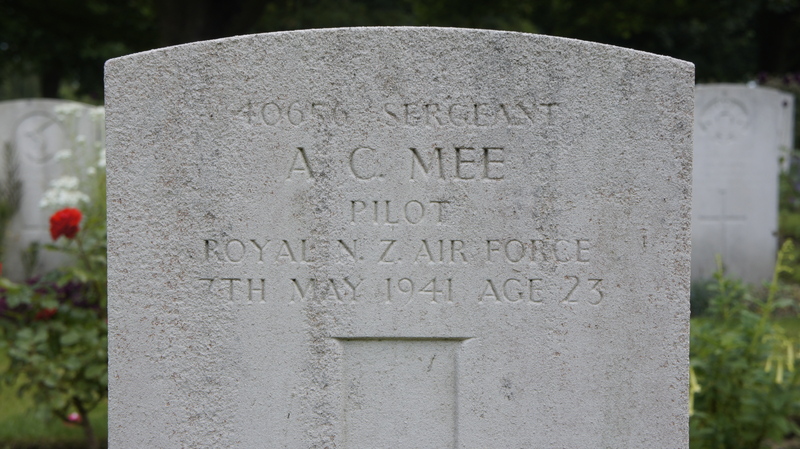 This entry was posted in general and tagged 1941, 75(NZ) Squadron RAF, Alexander Coutts Mee, David Leo Nola, Feltwell, Grimsby, Scartho Road Cemetry, Trinity Sands on January 3, 2012 by 75nzsquadron.